City, University of London has appointed Professor Chris Greer as Dean of the School of Arts and Social Sciences. Professor Greer joined City’s Department of Sociology in 2005 and became Head of the Department in 2014. He continued in this role until September 2017, when he became Interim Dean of the School of Arts and Social Sciences. A Fellow of the Royal Society of Arts, Professor Greer has been instrumental in developing City’s research and education in the field of criminology. The University recently celebrated 15 years of criminology at City, with the founding of the Centre for City Criminology in December 2017. Welcoming the appointment, Professor Sir Paul Curran, President of City, said: “I am delighted to welcome Professor Chris Greer to City’s senior leadership team. He brings extensive knowledge of the University and outstanding skills as an academic leader. Professor Greer’s current research is focused on scandal and institutional failure. 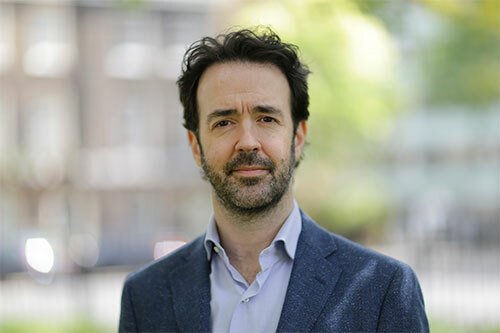 In collaboration with Professor Eugene McLaughlin, he has developed the concepts of 'trial by media' and 'media justice' to examine the shifting relations between news reporting, institutional power and civil society. He recently presented a BBC Radio 4 documentary based his ongoing research in the area. In The Scandal Machine, Professor Greer traces the evolution of scandals involving high-profile public figures and how the media report them. Professor Greer said: “City has changed dramatically since I joined 12 years ago. It is bigger and stronger, more ambitious and innovative, and I am delighted to be leading the School Arts and Social Sciences (SASS) through the next phase of its development. Professor Greer completed his MSc (1997) and PhD (2001) at the Institute of Criminology and Criminal Justice, Queen's University Belfast, and then worked at Northumbria University until the lure of a global city brought him to London. In 2004 he co-founded Crime Media Culture: An International Journal (CMC), which promotes a cross-disciplinary understanding of the crime, media, culture nexus. After a decade co-editing CMC, Professor Greer stepped down in 2015 and became Associate Editor. He is also on the Editorial Board of Theoretical Criminology.